Chai Seniors is an innovative programme that aims to meet the needs of the seniors within the Greater Johannesburg community. DID YOU KNOW that depression and apathy are not inherent elements of the aging process, and that in many societies respect for the elderly is a societal norm? It is a shame that some seniors are neglected and alienated from the general community. Chabad cherishes the wisdom of the elderly, and in keeping with our mission to promote life-long learning, has established our Tiferes Zekeinim "Glory of the Elderly" programme, now known as Chabad Chai Seniors. Bringing a smile to the face and joy to the heart of every senior. The elderly are the most rapidly-growing population group and Chai Seniors wants to help fill these years with joy and a sense of caring. We arrange social events, daily lectures, educational programmes and various holiday celebrations. We work with nursing homes, retirement communities and directly with individuals to help them with specific needs, including home and hospital visits, and more. Who are we? Chai Seniors is a division of Chabad House-Miracle Drive and is dedicated to serving all with Ahavat Yisrael - an unconditional love and concern for every Jew, regardless of background and affiliation. Our inter-generational programmes promote the sharing of stories, Jewish experiences and knowledge among the generations. 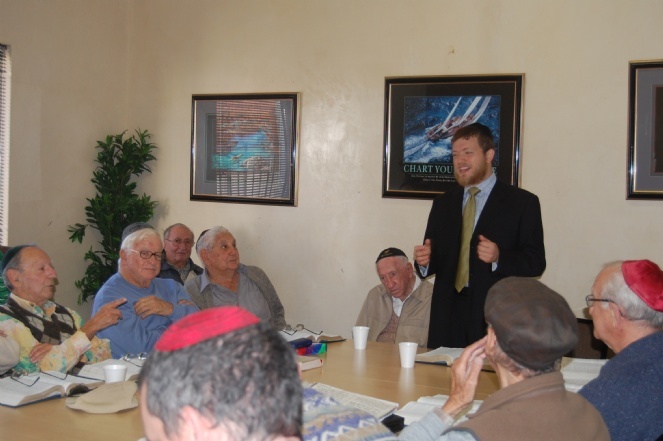 Rabbi Ari Kievman, our director, has been working with Senior Citizens for over 10 years. While studying for his Rabbinical ordination in 2003 at the Machon Lhora'ah in Pretoria he would visit the Jaffa Old Aged Home twice a week. In New York he was the Senior Rabbi and Chaplain at several Retirement Centres. His experience has taught him that there is much wisdom to be gained by listening and sharing with seniors. Rabbi Kievman has a great deal of knowledge concerning the issues faced by seniors, the difficult situations they often encounter in hospitals and nursing homes, and the struggles they face to live independently. 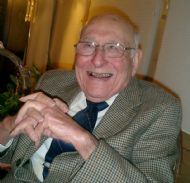 He has done extensive research on many issues relating to geriatrics. Daily Kolel for Men: Includes transport service, refreshments, lunch, a stipend for attendees. Ladies Kolel: Including transport service, refreshments, lunch, stipend for attendees. Individual Visitations to private homes, senior facilities and hospitals. *Daily Kolel: Jewish thought teaches us that education doesn’t end at a graduation but rather it continues throughout our lifetime. In addition to stimulating the mind, studying Torah allows us to reconnect with our heritage and endows us with feelings of hope, truth and purpose. Come to our Chai Seniors daily lectures and semester courses created around Jewish values and history. At all lectures questions and discussions are welcomed and encouraged. Lessons vary between Talmudic stories, Jewish law, history, ethics and more. 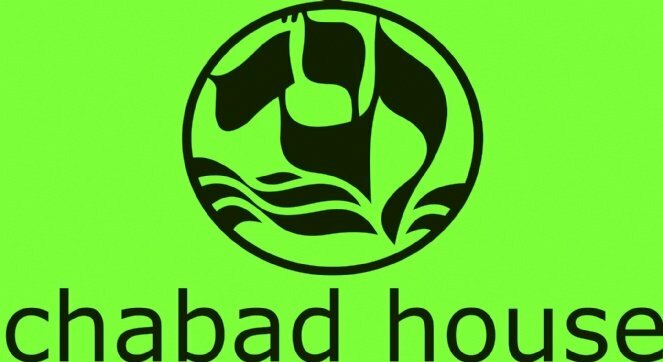 This programme is conducted daily (Monday through Friday) at Chabad House. We provide transportation as needed. The morning begins with fresh coffee and refreshments as you chat and catch up with friends. At 9:30 we begin a two-hour study session, topics including the weekly Torah portion and its practical relevance in our daily lives and other contemporary issues examined under the halachic microscope. Following the class is a delicious hot lunch. *Memory Programs: Suffering with memory loss? Join our Memory Enhancement & Extra Curricular Programmes every Monday, with experienced Occupational Therapist Ms Cynthia Liptcz. *Guest Lecturers: Medical research has shown that intellectual stimulation is vital to maintaining good mental health. Periodically throughout the year we arrange sessions with guest lecturers. Featured speakers have addressed topics on Jewish history, customs and ethics. For information on future guest lecturers click the upcoming events option. *JLI Courses: Seniors Module TheJewish Learning Institute, one of the world’s pre-eminent providers of quality adult Jewish education has been a proven success in its methodical and systematic outline of Jewish courses with accreditation (CLE, CPD etc.). It is structured as a 6-week semester, with courses running once day a week alongside the daily learning schedule. It consists of Its holistic approach to Jewish study considers the impact of Jewish values on personal and interpersonal growth. Drawing on research-based instructional design and cutting-edge approaches to adult learning, JLI's innovative presentation of traditional Judaism is designed to be both intellectually rigorous and highly accessible. In this module we cater the curriculum to be of particular relevance to your life as a senior. Past topics have included Jewish Medical Ethics, the Gift of Shabbos, Toward a Meaningful Life, Talmudic vs Secular Law and many more. *Kashrut Course:Are you experiencing lack of familiarity in the laws of Kashrut? We periodically offer courses on the basic s of keeping Kosher, introducing the fundamentals of the laws with leading rabbinical experts from the Beth Din, and demonstrate the practical practice of Kashrut observance in our home, including Koshering. We anticipate creating a virtual shopping cart and discussing what would or wouldn’t be allowed providing a visual Kosher shopping experience, as well as taking seniors behind the scenes to see the intricacies of Kosher certification. *Living Legacy:We don’t just teach about Jewish life and festivals, we bring them to life. Before each holiday we present a series of creative and stimulating hands-on experiences and events. Shofar Factory for Rosh Hashana, Lulov/Esrog workshop for Sukkos, Olive Oil press for Chanuka, Mishloach Manos packaing before Purim, Model Matzah Bakery before Pesach, Sofer presentation before Shavuos. In months between holidays we present Living Legacy educational exhibits on a variety of other Jewish practices: Tallit/Tzitzit Factory, Mezuzah Day exhibit, Tefillin fabrication, Havdalah secrets, and a Mikvah tour, all led by experts who explain the significance of the mitzvoth.